We are very happy to welcome you at the new publishing platform and living archive of Open!, which was designed by Niels Schrader and Mind Design. The site should offer a truly dynamic, discursive environment that continues to focus on the changing conditions of the public domain and public sphere, and the consequences of privatisation, mediatisation and globalisation processes on our social, cultural and artistic practices. It includes the almost complete contents of Open: Cahier on Art & the Public Domain 2004–2012 and everything that has been published since then. We request your patience, as we continue to revise and digitise the archived images and texts. The Open! archive is alive and well – indeed. To optimise and enrich the online research and reading experiences, the new website allows the user to always retain a full overview of the volume of the archive, even while deeply immersed in the reading of an article. The content is presented next to three navigation columns that connect related pieces of texts via cross- and hyperlinks, provide additional explanations via definitions and include footnotes and references to literature. The site has been optimised for desktop and tablet view. How does one navigate the new Open! site? Well, you can browse through our content by: Year, Content type, Theme and / or Tag; you can also use the Timeline interface, the search engine or find texts via Contributors. You can access the latest articles by simply clicking Articles and browse through these linearly with the previous / next button. Under Timeline, you can easily browse through the chapters of any article you are reading. If you still prefer reading in an analogue format, you can simply download texts as PDFs. Last but not least, we’ve added a Donation / Support function. Since Open! is a non-profit organisation with no structural funding, we depend on all-important donations to enable us to maintain the Open! platform and share its content with you. A donation would be highly appreciated. Recently Open! published “The Economic Power of Public Opinion & the Public Power of Economic Opinion. Think Factories, Think Tanks and the Privatization of Power” by artist Andreas Siekmann and “Affect Space: Witnessing the ‘Movement(s) of the Squares” by media theorist Eric Kluitenberg. We continue our investigations of the theme Commonist Aesthetics in close collaboration with Casco – Office for Art, Design and Theory in Utrecht and Sven Lütticken. The contributions by Marina Vishmidt, Mikkel Bolt Rasmussen, Isabell Lorey, Sven Lütticken and Andreas Siekmann will soon be supplemented by new contributions from Metahaven, Matteo Pasquinelli and Christoph Brunner / Gerald Raunig, among others. Upcoming research themes include: The Culture of Control and The Affective Image. 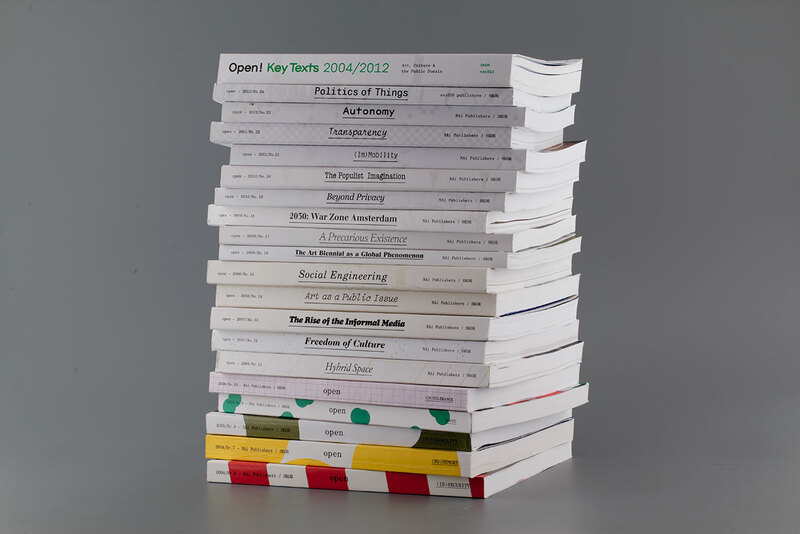 Stay up-to-date on our latest publications by subscribing to our newsletter.